For luxury real estate market along the Southern Coast of Southern California, Clara Chen Luxury Group is the real estate team for your next move. 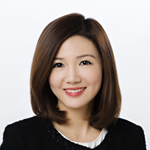 In the luxury real estate market along the gold coast of southern California for the last many years, Clara Chen distinguishes herself by bringing a wealth of international marketing and business experience together with local market expertise in both residential and commercial properties. A native of Hong Kong, Clara’s fluency in English, Mandarin, Cantonese, and Taiwanese, professional demeanor, sincerity, trustworthiness, friendly nature, patience, exceptional negotiation skills, dedication to attentive client service, and local market knowledge have earned her countless repeat clients and referrals. Since moving to Newport Beach, Clara has established a successful career focusing on high-end luxury properties in coastal Orange County. 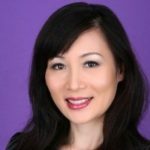 Clara is a member of the Board of Directors of the Orange County Chinese American Chamber of Commerce (OCCACC) and serves with several charities. Recipient of the 2016 World Outstanding Chinese Award. Ms. Peggy Lu holds a Ph.D. degree in Civil Engineering from Tongji University in Shanghai, China, renowned for its world-class civil engineering and construction design programs. Before moving to the U.S., Peggy was an associate professor in the College of Civil Engineering of Tongji University and had been engaged in building design and construction for over 20 years. She has been involved in the real estate business in Southern California ever since she emigrated from China. Because of her rich experiences in civil engineering and construction industry and professionalism, she has become an uniquely reliable and resourceful Realtor in commercial and residential estate in Southern California. 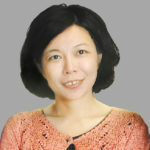 Moreover, her deep understanding of and wide connections with real estate industry in China and thorough familiarity with the immigration process from China to the U.S. enable her to represent clients effectively in all phases of real estate investment in Southern California, and therefore bring prospective buyers. Tingting was graduated from USC Marshall business school with bachelor degree in Acounting and now reside in Newport coast. She has over 10 years of personal real estate experience having bought and sold residential properties and investment properties in SoCal. 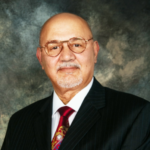 knowledgeable, trustworthy and hardworking advocate to represent your best interest in any transaction. Tingting grew up speaking English and Mandarin Chinese, and she is deeply involved in local community volunteering. Ms. Rose Liu is a Certified Public Accountant, she is also a licensed Realtor in California. Ms. Liu completed her B.A. degree in China before working with China Construction Bank, and later she graduated with Master Degree in the U.S. specializing in Accountancy and Taxations. Her extensive experiences included working with the world renowned accounting firm Pricewaterhouse Coopers. She has accumulated over 15 years of experiences in accounting, taxations, auditing executions and Corporate Controller/CFO in the US. Her experiences extended to various type of commercial activities and ventures such as private firm, LLC, partnership and corporation establishments, including business merge, acquisition and company IPO. As a licensed Realtor in California for 8 years, she also specializes in the residential and commercial property investments in the greater southern California areas, incorporating Orange County, Los Angeles County vicinities. For potential new immigrants and new investors, she is ready to offer a one-stop service and professional consultations in property investments, financial planning, tax preparations, and estate planning.